Jamming fresh out of the package today in the 'rock room' is a brand new and tidied up officila release of a long bootlegged classic. 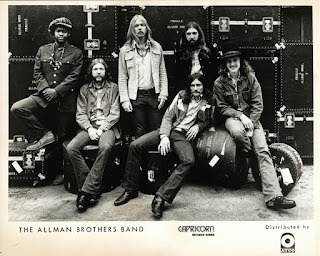 The original line up of the Allman Brothers Band live at A & R Studios on August 26, 1971 and broadcast on WPLJ- FM radio in NYC. 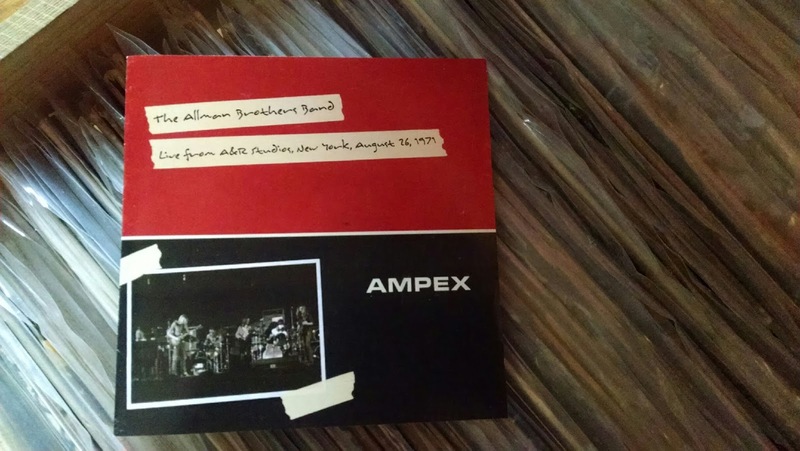 This important performance has long been a favorite of collectors while essential elements have appeared on the Allman Brothers Dreams box set. The current release playing in the 'rock room' today is the entire 67 minute performance disseminated in a glorious sonic spread. 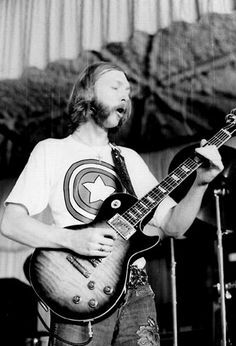 As Allman Brothers aficionado's are aware, Duane era performances are always welcome and the expectations don't rely on the expected set lists of the era but the unique nuances and improvisational aspects of the performances. The aforementioned elements are plentiful in this release and surpass any concerns regarding track listing fatigue. This special studio performance captures the Allman's ascending to their first era's musical peak. The band was a fine tuned musical maelstrom, the dual guitar attack of Allman and Betts its own force of nature. Fillmore East had documented the special alchemy of the band and was cementing them as one of the finest stage acts in rock. The studio audience lends their approval as the band is introduced and freight trains through the expected series of opening numbers. 'Statesboro Blues', 'Trouble No More', 'Don't Keep Me Wonderin' and 'Done Somebody Wrong' are played definitively and all spotlight Duane on slide and Betts on straight up six. Betts first solo in 'Trouble No More' is as hot as Georgia blacktop and is answered in kind by Allman's snaky slide solo. Gregg screams off mic encouraged by his brothers laser shot slide licks. The drummers are the stars as they whip themselves into a frothing rhythmic whirlpool for 'Don't Keep Me Wonderin' a song that never fails start asses a shakin'. Duane remains at stage left and Dickey at stage right for the duration of the concert presenting a picturesque aural image. 'One Way Out' steps on the heels of 'Don't Keep Me Wonderin' and ushers in the more 'substantial' jamming of the evening. Its obvious the band is comfortable with their surroundings and have a fire in their belly. Another amazing 'In Memory of Elizabeth Reed' of the era follows surpassing thirteen minutes and allowing Berry Oakley a spotlight moment as he circumnavigates melodic lines around the dua sonicl ropes of Allman and Betts. A lower key version of the song, the intimate confines of the studio serve Reed well with the dynamics of the song reflecting this close knit aspect. Betts lays down a plump series of licks for his first go around while Duane takes a more introspective turn. His second solo spot lands in a tranquil pool of sound before peculating into a joyous reinstatement of his solo' theme and erupting beautifully. The 'moment of note' if you will, or the musical magic that this show is so rightfully recognized for follows next with Duane Allman's understated verbal introduction. 'You Don't Love Me' was usually reserved for stellar band improv and this version is no different except for the circumstances surrounding its rendition. Famed saxophonist and Duane Allman comrade King Curtis had been stabbed to death two weeks earlier in New York and as Duane speaks into the mic he makes his feelings known about the unfortunate circumstances, while also mentioning his own musical tribute to be expressed on the spot. At about seven minutes into a high octane 'You Don't Love Me' the band becomes particles and dissipate leaving Duane to contemplate his own personal eulogy through his trusty Les Paul. His touch and tone is crystalline, each micron of sonic imprint is visible and available for inspection. Allman's process and development captured. Oakley joins Duane for a mini duet of deep blue riffing amidst a wash of cymbals. Allman continues to improvise, touching melodies with his finger tips and pulling away through spectral feedback. Finally encouraging the band to join him, the group circles and reveals a resplendent and celebratory thematic march through the theme of King Curtis's 'Soul Serenade'. Gregg raises his hands first offering a religious swell of Hammond organ to which the band begins to dance. Duane's feedback stretches and screams through inspired licks that just a soon sprout butterfly wings and trickle softly to floral branches. Perfection. The assembled studio crowd begins to clap along and the band develops a tribute swing that moves and again breaks apart beautifully to a round of applause. Betts soon grabs the wheel and honky tonks a plethora of back woods licks bent so far up the neck they almost pop. Betts lassos momentum and stars to tie together a series of loopy disorienting licks that bridge his electrified country lilts. Betts gets the bands attention as a few different grooves develop then drift away. He then hits on the jump riff unique to the song to which Duane begins to layer licks in over driven quotes. Soon, both Betts and Allman enter into a call and response segment that always brings a smile to the lips. The band is full throttle and all respective elements of the band are contributing to the inspired jamming so thankfully immortalized on the disc. Nineteen minutes of the finest vintage Allman Brothers Band one could ever want. Woah. The recording and performance close with what is in my opinion one of the best versions of 'Hot Lanta' you will ever hear. Again, the intimate recording allows for a multidimensional view of the group, Gregg's organ strobes from the speakers when his spot appears in the rotation in vivid clarity; which is what happens for each respective member when their solo spot approaches. 'Hot Lanta' burns through its changes with a 'Whipping Post' intensity, off mic shouts and cries of ecstasy from the crowd abound. Both of the solo guitar spots offer something of note and the closing space out section of the song is extra saucy. The group is introduced and the performance is finished the music offered to spread to the wind like seed. Long recognized and lauded, this 1971 performance has finally received a complete and deserving official documentation. 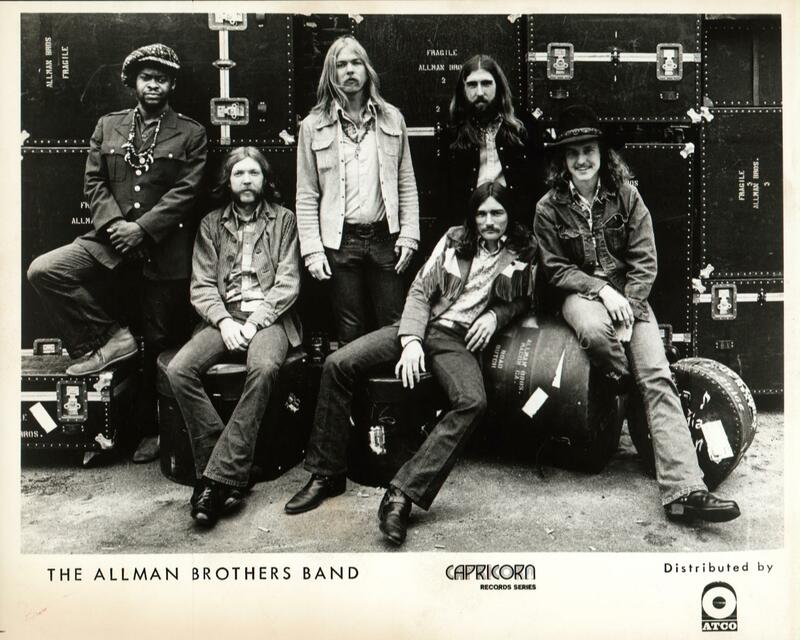 The Allman Brothers Band are a legacy band with a long history, even following the loss of two of their founding members. These formative and foundational documents are what started the journey. But no matter the number of releases of versions by the original band there is always room for more. The performance and sonic quality of the A & R Studio's release is well worth your listening time and interest. I have included a link below but I recommend purchasing the official release because it is an amazing upgrade. Search it out and enjoy.